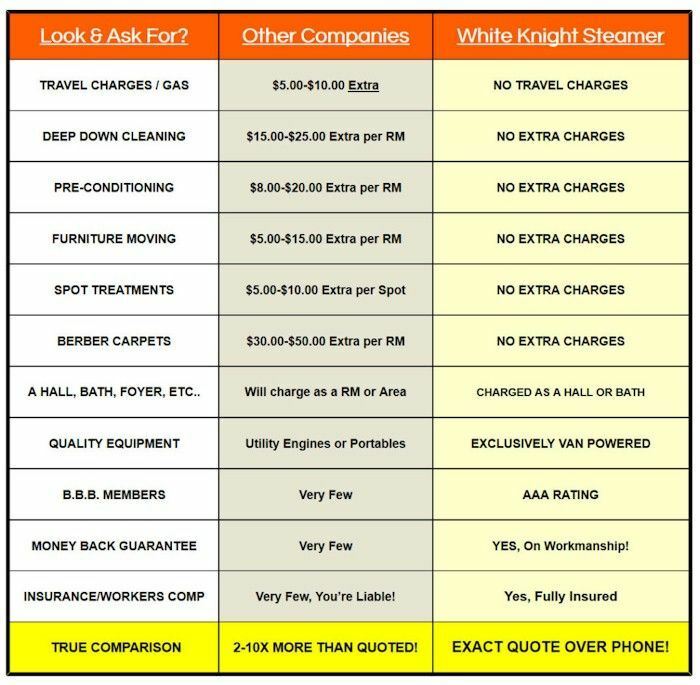 White Knight Steamer is your source for quality professional carpet cleaning, upholstery cleaning and carpet repair in the greater Charlotte area. Serving the communities of Indian Trail, Ballantyne, Weddington, Waxhaw and Matthews, Monroe, Stallings, Marvin, Charlotte, and surrounding areas! We have the skills, materials and technology you need to make your home shine. Your carpeting makes your home feel welcoming and inviting, but it can also take quite a beating. Our carpet cleaning and carpet repair professionals can come into your home and give your carpeting the deep down cleaning it needs to look beautiful and fresh again. Family Owned and Operated, not a Franchise, Owner on staff! Exclusive Van-Powered Hot-Water Extraction Cleaning Equipment, Not a portable. We Quote You An Exact Price Over The Phone, No Surprises! Exclusive Formulated Safe Cleaning Agents for Your Family & Our Environment. No residues to attract dirt. We Offer a Money Back Guarantee on Our Workmanship! When you are looking for a company to help with cleaning your carpeting and upholstery, you want to partner with a company who has the best qualifications for the job. As an IICRC certified company, White Knight Steamer has proven over and over again that our team has the skills and knowledge needed to get your carpets clean. The Institute of Inspection, Cleaning and Restoration Certification, or IICRC, is a certification and standard-setting nonprofit organization dedicated to the cleaning professions. It is recognized throughout the cleaning industries, including carpet cleaning, as a voice for the industry and a resource for professionals who are looking to better their skills and knowledge. In the carpet cleaning industry, professionals like to say that the IICRC “writes the books” on carpet cleaning. 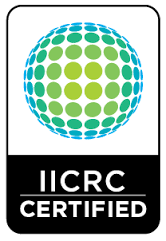 What Does IICRC Certified Mean? 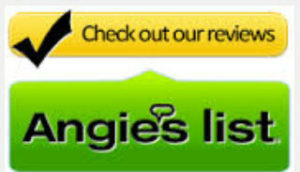 Presenting accurate information to their customers, and conducting business with honesty and integrity. Ongoing education for technicians to keep them current with changes in the industry. Require that every job have a technician who has formal training and testing. Maintain a written complaint policy and accept Better Business Bureau arbitration for disputes. What does this mean for you? When you choose an IICRC Certified carpet cleaner, like White Knight Steamer, you can be confident that the cleaning company has the right commitment to you and the right skills and training to do the job well. If you have carpeting or upholstery that needs cleaning, trust it to the company who has proven to do the job well. That company is White Knight Steamer. Contact us today for a free, honest quote for your carpet cleaning needs.